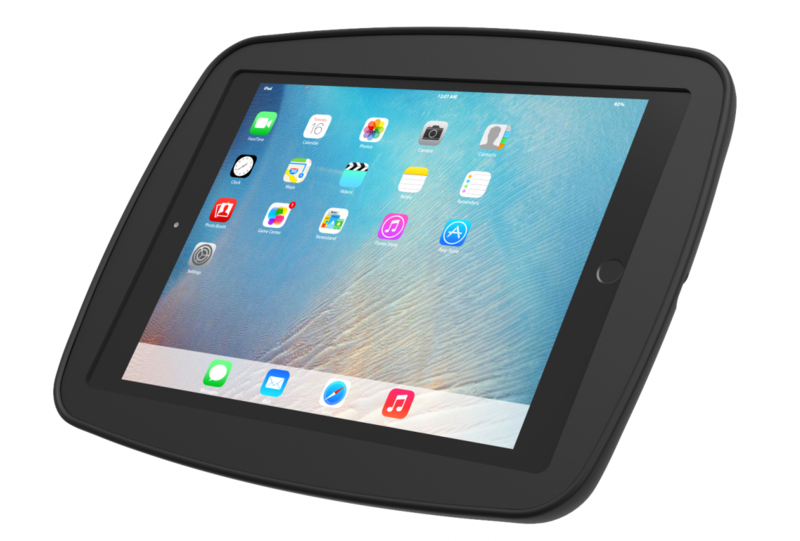 Compulocks Secure Space Enclosure for iPad 9.7 features rounded edges and open corners for improved ventilation and allows for limited access to buttons and inputs. 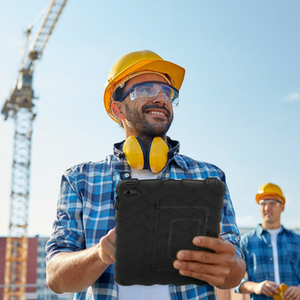 Included is a removable home button cover to restrict access to the main button. 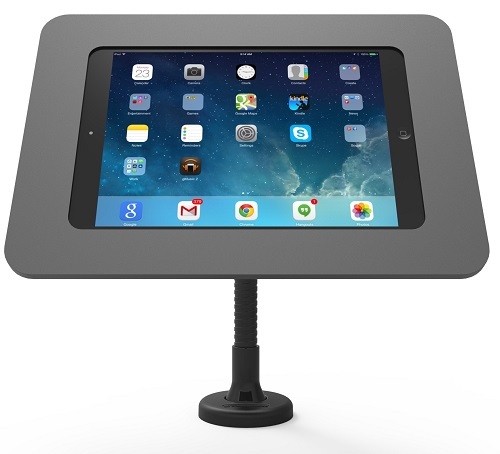 As with all Compulocks iPad lock and tablet lock devices, the tablet can be continuously charged while in the enclosure and have peripheral cables plugged in while mounted. 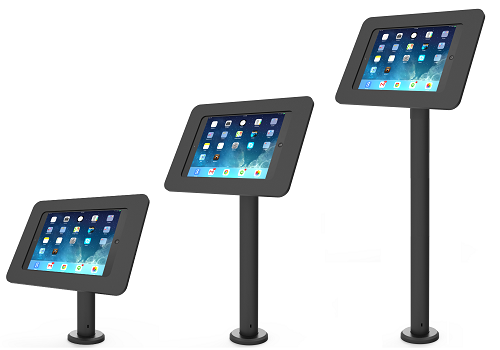 Mount this enclosure flush to the wall or surface via the standard VESA pattern or pair it with one of stands or mounts for additional kiosk experiences. 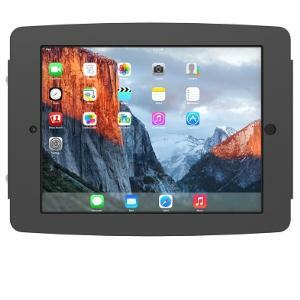 Compulocks Secure Space Enclosure can be set in either portrait or landscape mode, and is compatible with a number of iPad models including iPad 2/3/4/Air/Air 2/5th Gen/Pro 9.7in using an iPad adapter kits for multi-generation iPad compatibility. 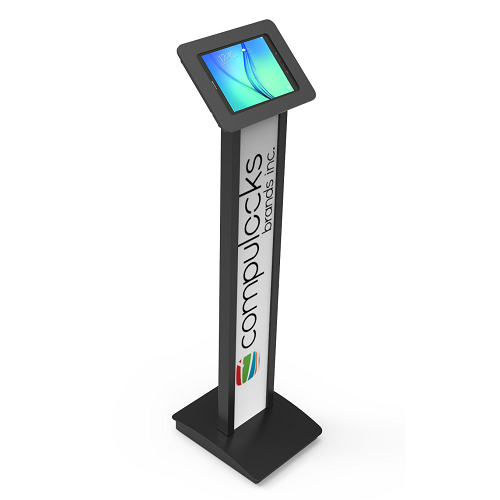 This enclosure is compatible with a number of stands, mounts and arms. 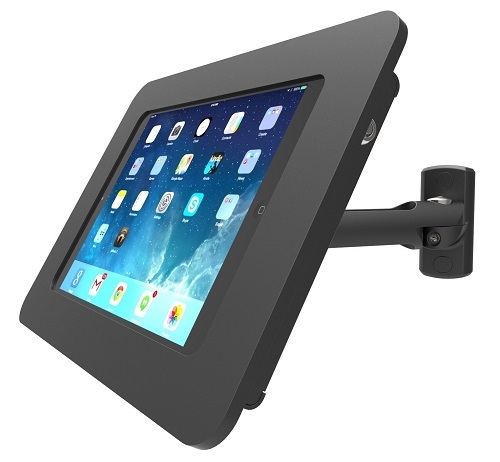 Please see below for optional accessories to maximise your Compulocks Secure Space Enclosure for iPad 9.7.